The profits shown in the graph above are tantalizing. They are also real – they are all actual returns that could have been achieved on actual trades. In constructing the graph we didn't just look at highs and lows – we also looked at actual volume traded. The figures shown represent amounts of money you could actually have invested in the shares at the start of each period shown. R20 000 invested in Pinnacle Technology in March 2003 was worth a million rand by November 2007. At the time of writing (May 2013) those same shares are worth R4.4m. That's right – nearly four-and-a-half million. If you missed that opportunity you could have bought more recently: R20 000 invested in Pinnacle in March 2009 – just four years ago – was worth over R300 000 by March 2013. This is not an isolated example. From 2004 to 2007 shares in Basil Read gave investors a fifty-fold return in just three years – R10 000 turned into half a million. R25 000 invested in PSG in 2008 was worth over R100 000 by mid-2011. Just R7 000 invested in DAWN in 2002 was worth half a million by 2007. We could go on but we are sure you get the picture – if you buy the right shares, the stock market will make you rich. Incidentally, these are just the capital gains and ignore dividends. R62 000 invested in Implats in 2003 was worth over half a million by 2008, but in addition to this, over the five years, you would have received over R42 000 in dividends. That's right – apart from sitting on half a million you got back 70% of your initial investment just in dividend payments. In fact, if you'd remained invested, your 2008 dividends alone were worth R20 000 – a one year income yield of 33% on your initial investment! How do you find stocks like these? Yes, you know this, but look again. With a few mouse clicks you can become part owner of some of the most powerful and most profitable businesses in the world. Isn't that incredible? You don't have to quit your job, raise finance, employ people – or do any of the onerous things required to get into business – you can just go online and become a shareholder in tried and tested companies that make billions in profits every year. Over the last 50 years, the average annual return on the JSE – with dividends reinvested – is about 16%. This probably doesn't sound that exciting, but at 16% per annum a lump sum of R100 000 turns into R8.5 million over 30 years. And a monthly investment of R1 000 a month turns into nearly R9 million over the same period. Of course, the ravages of inflation mean that this is less impressive than it sounds. But if inflation averages 6% per annum and you achieve 16% per annum (a real rate of 10%), R100 000 becomes R1.7 million over 30 years in current money terms. In short, if you invest in the share market and only ever achieve the market average you will not be doing badly. Most importantly, your investments will outperform most other mainstream investments available to you, including the average unit trust and nearly every RA, endowment policy and provident fund available. Many investors assume that they will be hard-pressed to compete with experts. Why manage your own portfolio when there are experts (like fund managers) who will do it for you? they can't buy smaller market cap stocks (ie, shares in smaller businesses) because most listed companies outside of the top 100 can't absorb the big positions that funds need to take to impact their portfolios. For all of these reasons, private investors actually have an advantage over the professionals. As a private investor, you can get out of a share quickly if you've made a mistake, you can buy shares in smaller, growing businesses, and you can keep your portfolio relatively tight in order to get superior results. Private investors have another advantage too – nobody cares about your money as much as you do. Nobody else is really going to give it the attention it deserves! Let's be clear about this – it's surprisingly hard to make consistent profits as a trader. Yes, we know there are thousands of adverts every day on the internet telling you how you can make $5 000 a week trading forex or R10 000 a month trading shares, but it's not easy. It is actually possible (which makes the whole subject harder to tackle) but only in the sense that you can climb Mount Everest and you can run the Comrades Marathon. Yes, you can do these things, but they don't come easy – they require daily application, huge commitment, tremendous discipline and determination. Or oodles of talent. By contrast, running a medium to long-term portfolio is not very difficult and not very time-consuming. A ten-bagger is a stock that increases in value ten fold within a relatively short period (five years, for example). One of the keys to investment outperformance is to hold one or two ten-baggers in your portfolio. Five-baggers are also good! The point is that one or two really exceptional performers in your portfolio is usually the difference between good returns and outstanding returns. For reasons mentioned above, private investors actually have a better chance of having ten-baggers in their portfolios (and having meaningful exposure to those ten-baggers) than large institutional funds. So, to summarise, you need those ten-baggers and five-baggers – like the ones shown in the graph – and as a private investor you're better placed to buy them and benefit from them than the big funds. But this still begs the question – how do you find them? Firstly, much as we love charting and technical analysis, you don't find ten-baggers this way. Why not? Well… all stocks go up and down in price. All ten-baggers suffer some large corrections on their road to stardom. Price charts and technical indicators might get you into these shares, but they'll also knock you out of them. And it's easy to say, well, no problem, just buy them back again when they recover, but in practise this doesn't happen. Nearly all investors find it very hard to buy back into a share they previously sold at a lower price (and that's most often the scenario you face). The performance of ten-baggers in the market is nearly always underpinned by the company's profits. Or, to put it simply, they are fundamentally outstanding businesses. But to find an outstanding business you can't look only at the share price – this only tells you about current market sentiment, which might be way off for a number of reasons. And even if market sentiment is spot on today, the 'market' is not as a rule, on average, taking a three to five year view. The only reliable way to find ten-baggers is to look at the fundamentals – profits, margins, growth prospects – and to buy shares in companies that run sound, growing businesses. And the only sensible way to look at the fundamentals is to use ShareMagic™. Okay, we admit, we can't say that the only sensible way to look at fundamentals is to use ShareMagic™, but once you understand what ShareMagic™ can do you might agree that it's the most sensible. The problem with using fundamentals to make investment decisions is that the raw data is diverse and scattered. It's also often complicated and hard to compare. ShareMagic™ changes all that. ShareMagic™ includes fundamental data organised so intelligently that you can ascertain with a few clicks which companies have growing profits and which are in decline. You can work out quickly and easily which shares are fundamentally cheap (which doesn't mean a penny-stock but any share trading at a discount to its real value). Or which companies are exposed to rising interest rates – to give just a few examples. 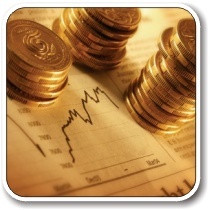 ShareMagic™ also integrates charts and fundamentals in a truly meaningful way. Fundamental data can be superimposed onto price charts and you can switch freely between charts and fundamentals – without having to load another 'module'. The ShareMagic™ advantage is that it gives you the best of both worlds – great charting tools and superb fundamental data. This allows you to combine a short-term or medium-term approach with a long-term investment strategy – to determine which shares to trade and which shares to hold on to. The result is better returns. If you're ready to start the journey towards financial independence, we suggest you make your move today. Pick up the phone now to sign up for ShareMagic™ ONLINE (immediate access) or to arrange a no-obligation demo. PS To find out more about the ShareMagic™ solution, click here to get an overview of the complete product range. Or phone +27 11 728-5510 and talk to one of our friendly consultants. PPS If you're not convinced yet, find out more about stock and market data in the article Why ShareMagic? ProfileData has taken care in preparing all information on this website, but does not accept any liability for errors or out-of-date information.